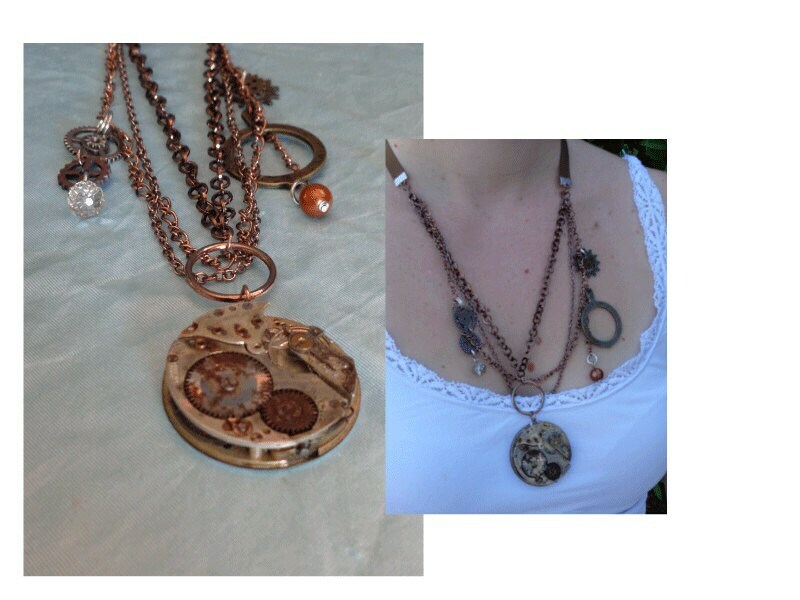 This Steampunk necklace centerpiece is an antique pocket watch movement, and the chains are adorned with clock part charms and beads. As with our Deluxe Steampunk Leather Cuff, no two pieces will be identical, since we are using REAL antique pocket watch movements! Colors and styles may vary.